UPDATE: fixed the tauren npcs hair from previous version. Tauren male npcs now have horn textures slightly off, but it is better than the hair bug before-hand, barely noticeable, and all other npcs are perfectly fine. Also adds the option to select taunka hair/tail color for more customization. After tooling around, I was able to add support for the HD models using a combination of warmanes, Finsternis, and Bocoio WOD character model patches as well as modifying some of my files in the previous version. This new HD version actually fixes A LOT of bugs with the original. 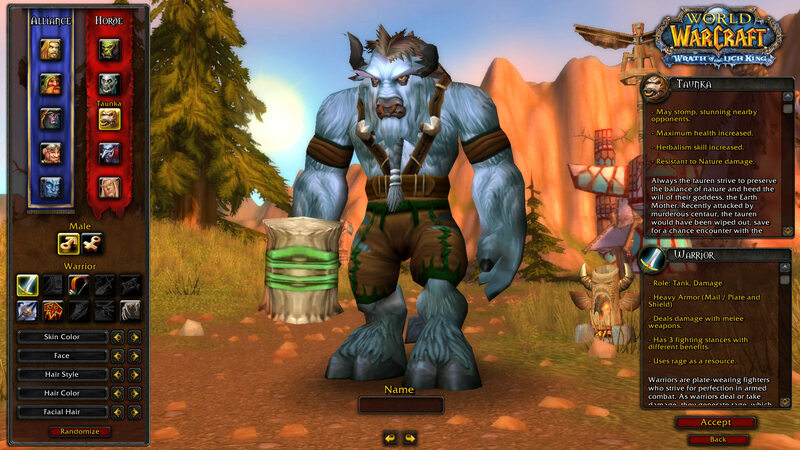 All npcs use the WOD models, including tauren npcs and no longer suffer from blurred faces. 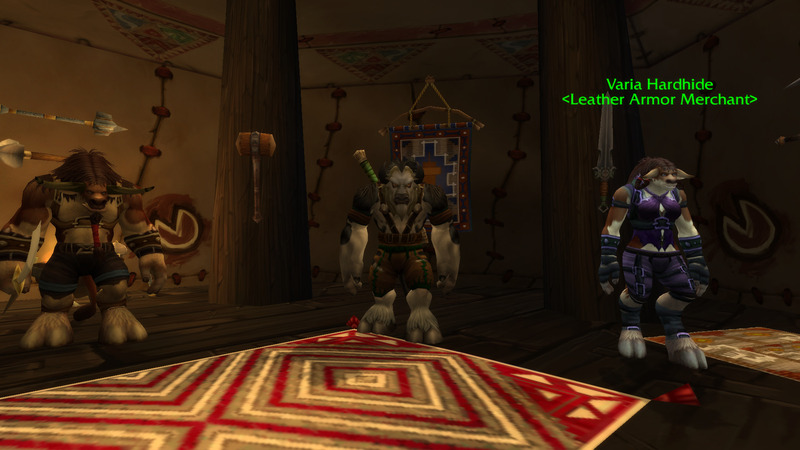 Tauren male npcs horn textures are slightly off, but barely noticeable, and all other npcs are perfectly fine. This patch also adds eyes to the player taunka. Helms are no longer blue cubes. "Horn Color" is replaced by "Hair color" and changes the hair/tail color. If you don't like how it looks on your existing tauren, go to the barber and change it. • Patch-Z.mpq is the taunka edit, all other .mpq are the HD models. This patch will only work with the HD models. If you do not like the HD models, see "SD Model". • If you already have the updated character models, just place patch-z in data. • If you do not, place ALL .mpq in data folder. • If you have updated models but not for npcs, delete your .mpq and place ALL downloaded .mpq in data folder. • For Warmane clients, Remove patch-X, Patch-W, patch-enUS-W and patch-enUS-X from the data and data\enUS folders. place ALL downloaded .mpq in data folder. If your getting crashes/low fps in dalarn, it is because WOW can only use 2gb of RAM. Download https://www.techpowerup.com/forums/threads/large-address-aware.112556/ to allow the wow.exe to use more than 2gb of RAM. 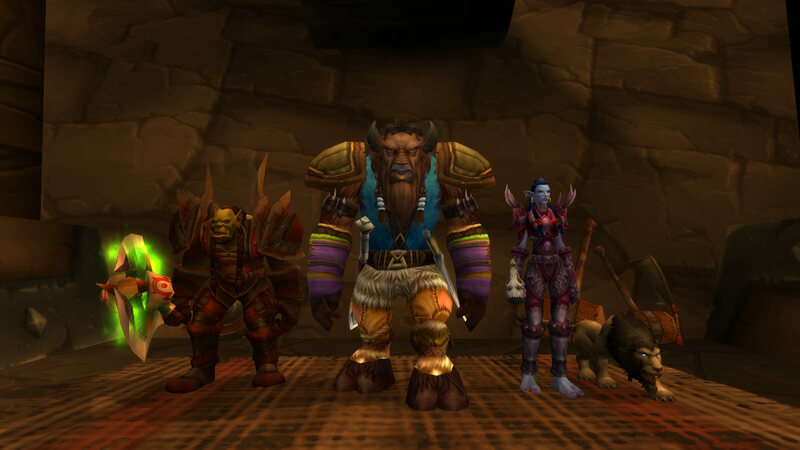 This is a improved version of my old https://www.ownedcore.com/forums/world-of-warcraft/world-of-warcraft-model-editing/433012-tauren-taunka-swap.html . This patch is converted to wotlk, as I figured it would have more use on this patch than 5.4. This swap changes the tauren model to taunka, and improved features are skins matching orginal tauren skin colors, and no more blank facial hairs! Tooltip names are also changed from Tauren to Taunka for more immersion. npcs still have blurred faces. Helms are slightly misplaced, can always hide helm. Also adds the option to select taunka hair/tail color for more customization. "Horn Color" is replaced by "Hair color" and changes the hair/tail color. If you don't like how it looks on your existing tauren, go to the barber and change it. Thank you for this update, it seems really helpfull. People seem to be out of emulation lately and specially in modcraft. Nevertheless good work.